[Beautiful and confident], who doesn’t want both? It is natural that everyone wants to look good and be confident. If you don’t, you might want to get yourself checked (just kidding!). Everyone has their own perspective, I will not judge, so don’t judge me either. I am vain. I want to look good and confident. I know many might debate that look doesn’t matters but the truth is, it does, in a way. Accept it. I am not trying to encourage plastic surgery but I am not against it either as long as it’s appropriate. A slight touch that makes you feel more confident/ less inferior, why not? A tiny fix that gives a total lift on the appearance, why not? Right? Again, here I am referring to minimal fix, not drastic/ extreme full body surgery. As I said, I am vain but not vain enough to have the courage to go under knife, so what other options I have except healthy lifestyle? Aesthetic. I’ve tried filler in the past, and also peeling and laser. 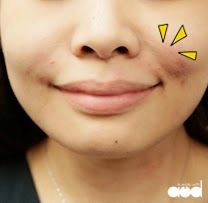 I am glad that I went through the peeling and laser which contribute to my “so-much-better” skin now. My skin is no longer so acne prone! Seriously it saved my skin! Go dig the articles from my archive if you want to know more. Today I will only cover my latest experience with Nexus Clinic. Last week, I was at Nexus Clinic for consultation on how I should treat my nasolabial folds, in layman terms, laugh lines. I have very serious ones. It makes me looks really old. I will show you later. I wasn’t alone during the trip. I went with Kim and Eryn~ Car pool is so much more fun than travelling alone. Here I would like to thank Kelvin (Eryn’s lovely husband) for the ride. Thank you so much for sending me home too! You can check on the services they offer (from the brochures provided), prices are all stated clearly. Upon our arrival at Nexus clinic, we were asked to register ourselves and were ushered to the Premier waiting room while waiting for our turn for consultation. Disclaimer: The pictures of my face in this review are Photoshop Free.You may see certain softening effect of the skin, those are from the preset settings of the camera. I’ve also done some brightening, labelling and watermarking, apart from that, no further edits were made. Doctor was my consultation doctor. 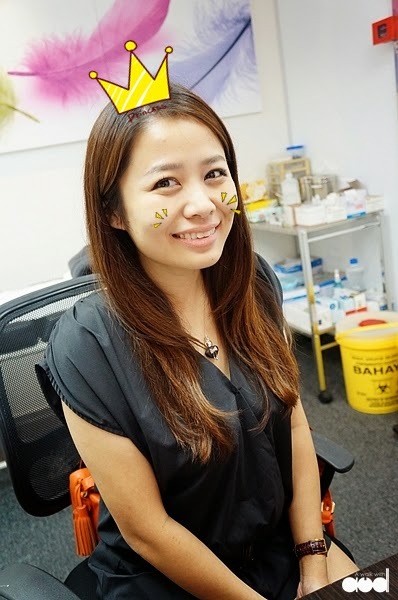 She is really helpful in helping me to identify my problem and advise what to be done in order to have a good result. She suggested me to fix my nasolabial folds. After some discussions, we have decided on non-surgical thread lift for my nasolabial folds. Trust me, I did had countless silent OS in my mind like “What? Thread lift? Me? so serious?” etc. lol but I trust Doctor, so I was like, okay, just do it! So what is non-surgical thread lift? Well, let me walk you through. Absorbable PDO (Polydiozanone) threads will be inserted into the area wherever you want for the lifting effect. It forms nets between a number of threads, promote and proliferate the synthesis of collagen in the dermis while they are naturally absorbing into the tissue within 6-8 months. Still not quite sure how it works? Here’s a illustration video to give you a brief concept of non-surgical thread face lift. The anesthetic cream will be applied and the threads will be inserted into the area. The procedure takes 30-40 minutes subjected to treatment sites. Do expect minor prickling sensation such as acupuncture needling. While waiting for the cream to take effect, of course it’s some selfie time. You know what? Nexus Clinic even provides free coffee/ tea/ and milo, so you can enjoy some hot drinks while waiting. Yup, Kim is enjoying their coffee here. After 30 to 45 minutes of waiting, my cheeks were numb. I was ushered back to the treatment room, Joan helped to cleanse my face. This is me all ready for the treatment. See the obvious laugh lines of mine? When I said I was prepared for the pain, I was expecting something like having filler and botox without numbing cream (I did both without the cream, the pain was like ant bites), but it was something more than what I’ve expected. Uhh, how should I put it.. Okay, imagine someone with long sharp nails, pinch and twist a tiny bit of your flesh. That should be somewhat close to the pain I went through. I don’t mean to make it sounds scary,I was indeed afraid at that point of time. Although it was painful but still bearable plus there’s numbing cream to help. Doctor is doing her magic on me. Half of the face is done. Look, it improves my laugh lines immediately! Everyone was really amazed by the result! Tadah! Both sides done! See the huge difference? I really love the effect! Doctor says it will take 1-2 weeks for the thread to be “absorb” and become part of the body tissue. Meanwhile, I do not have to prevent anything, oh just no facial treatment for 2 weeks, nothing else. Dr did mention that there will be bruises, I was expecting really bad bruises but to my surprise, what I have wasn’t that obvious after all. See the yellowish patch?? That’s my bruises. Actually it wasn’t that obvious in real life. Overall, I am pretty amazed and pleased with the result. Thanks to Joan and Nexus Clinic for the chance to experience this wonderful treatment! 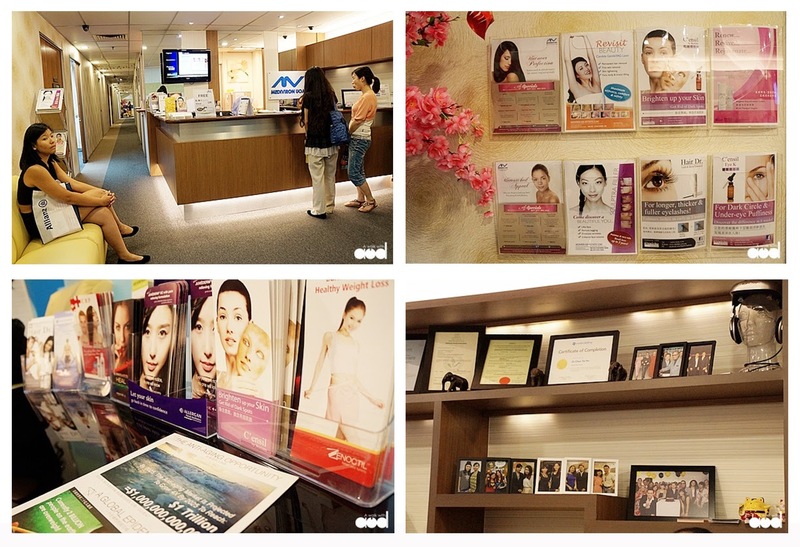 Moreover Nexus’s staffs are friendly, doctors are professional, hence I can really feel at ease leaving my face to them. Not to forget that for the benefits of their customers, Nexus Clinic provides FREE Aesthetic Consultation from Monday to Thursday!! Aesthetic consultation fee will be RM 60 per person, per session on Friday & Saturday, but it will be converted to deposit upon signing up for any aesthetic procedure. Very thoughtful isn’t it? Hello lovelies, it’s Saturday! How is it going so far? I will be heading out for a review soon. Ha, that means more deadlines to meet. Well, let’s back track a little to last Saturday. I went to KL last Sat with my world best Okaasan. 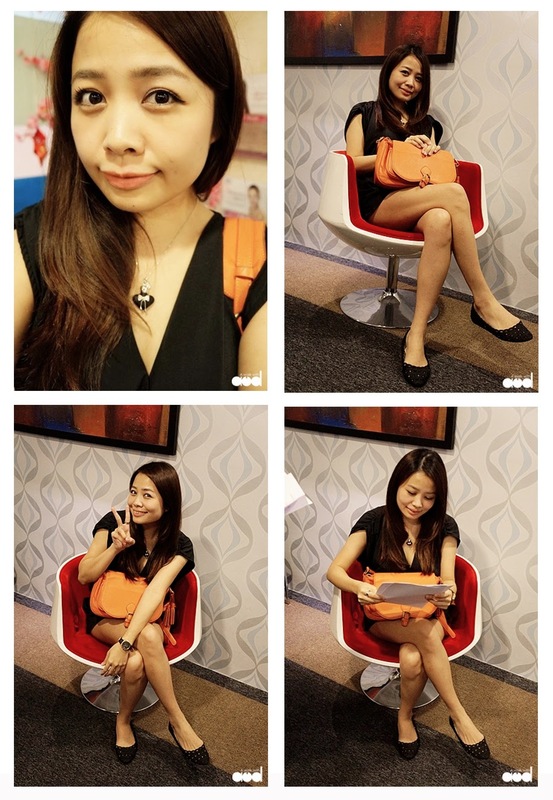 She is so nice that she volunteered to accompany me to KL for my Nexus Clinic Non-surgical Thread Facelift review. Yes I did the treatment 3 weeks ago, if you missed it, read it>>here<<. The result was immediate and obvious. I have slightly obvious bruises on the treated area and it was swelling for the first week. It then went off slowly. After 3 weeks, this is how I look now. When I smile, I still have laugh lines (if totally don’t have it at all I bet I will look damn fake), but it is so much better compare to previous. Doctor said that my recovery is in good progress hence no need for filler now. I can come back for second review 2 months later. 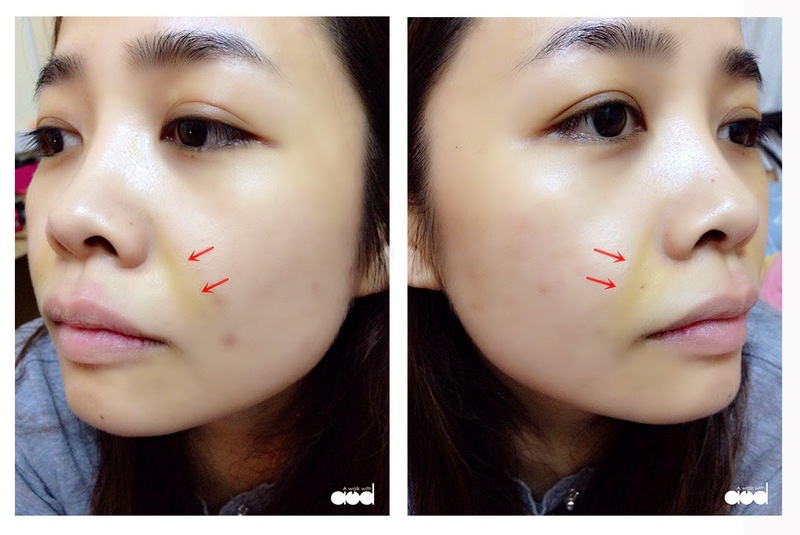 She said the effect of non-surgical thread facelift will be at its fullest effect at 3 months time whereby the thread will become part of your body tissue and starts stimulate collagen for your skin. But Dr is very thoughtful for understanding that I drove all the way up to KL just for the review, she offers mummy a trial session of LED light treatment, thank you doctor, that’s really nice of you! See you again in 2 months time! Beautiful and confident, who doesn’t want both? It is natural that everyone wants to look good and be confident. Sharon visited our clinic and consulted by our doctor, about her nasolabial and laughing line which makes her looks older. 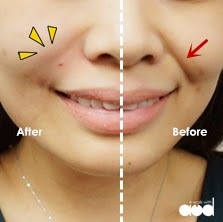 Our doctor then advise her to go for thread lift and Audrey was happy with the result. Click to read her blog now!